Director of the Africa Research Institute Edward Paice says that urbanization of African countries is not a solution itself. One of the explanations for the modest momentum of urbanisation in so many African countries is the dearth of opportunities for individuals to improve their lot in towns and cities. Job creation, or lack of it, is the key factor here. In the absence of formal or informal employment, or better services, many rural migrants chose to return whence they came, or to come and go – a phenomenon known as “circular migration”. This is becoming more and more common, and stays in each location are of shorter duration. Natural increase among the poorest urban-dwellers, not migration, is the biggest driver of urban growth in Africa. This means slum growth, and burgeoning ranks of unoccupied young men and women. As Professor Edgar Pieterse, Director of the African Centre for Cities in Cape Town, points out “this is tough stuff”. In Africa, despite encouraging GDP growth figures over the past decade, larger concentrations of people are not automatically generating benefits – quite the opposite. Talk of widespread “bottom-up development” occurring in towns and cities is far-fetched. The notion that big ticket urban infrastructure projects will be a panacea is equally misguided. The social, economic and political consequences of policymakers continuing to ignore the best available demographic research could be grim. For example, appropriate food supply networks and health services require sound knowledge of population distribution and migration patterns. But unsound “common knowledge” is contributing to bad policymaking and wasted resources – human and financial. “A set of very pernicious trends is unfolding and planned investments will exacerbate these trends”, says Pieterse. 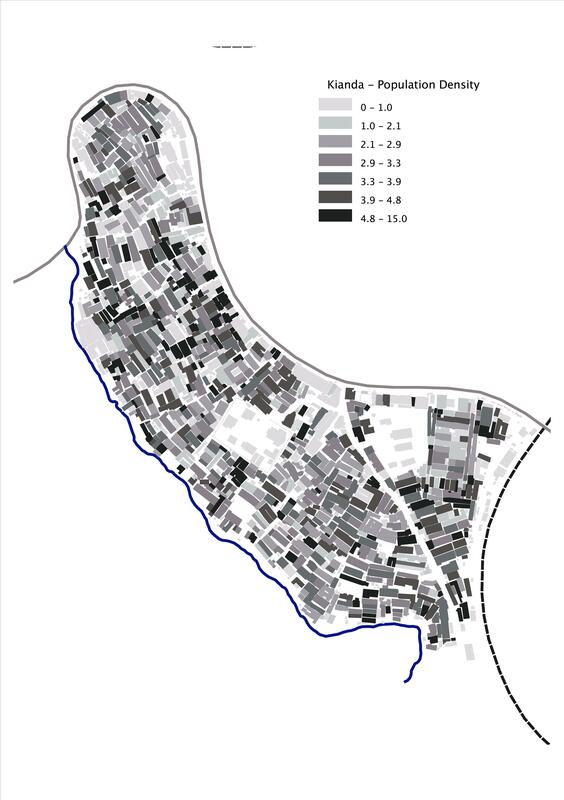 I have to admit that I was not aware of the Map Kiberia Project that estimated about 1/4 of a million people like in Nairobi's well-known and ever popular slum. Other interesting facts are that 1/3 of the inhabitants are Luo and there is 1 lavatory for every 53 people (I assumed there would have been a 0 at the end of the number). Better yet, there are a whole host of maps that you can view in 2D, 3D or on Google Earth. I would definitely suggest going to the website to see the maps and click through the data. Surveys like this are important because they will help to better coordination. For example, knowing where lavatory structures have been placed can allow the government to know where are the best places to support the innovative Iko Toilets installation.